The mainframe is finished with a 50 micron electroless nickel plating giving a vivid reflective finish & accentuated by the contrasting black componentry. Minor variations to the coating on each bike mean the final look is both exceptional & unique. For many, the S Type is the prettiest Brompton & it certainly is the lightest. The grips, at about 935mm from the ground are appreciably lower than on the M Type & 50mm further forward, giving a sporty riding position which complements the positive feel of these bikes. However, the pay-off for this sporty feel is less room for front luggage. This is the new 2018 version with the new updated caliper brakes, grips & suspension block. The Brompton is a bike which rides superbly, is safe, agile & fast, yet folds easily & quickly into a highly-compact & portable package. The result is a vehicle that increases your sense of freedom & independence. Finely-engineered & elegant, the Brompton has a full-sized frame, made mainly of steel for strength & stiffness. It is designed to be practical & light enough to be genuinely portable; actual weight depends on model & configuration but ranges from 9 – 12½ kg (20 – 28lbs). Why do u not ship to singapore For this bike? I’m really keen to buy this if u can arrange for shipping to singapore. Thanks. Thank you for your enquiry. Brompton bikes are in-store collection only as per Brompton's contract conditions when selling their bikes, we are also not allowed to sell their parts & accessories to any country outside of the EU where there is already a dealer in place. Can u shipped to W12 london? Thank you for your enquiry. Brompton bikes are in-store collection only however a deposit can be placed over the phone, please call 01278 441500 for further details. 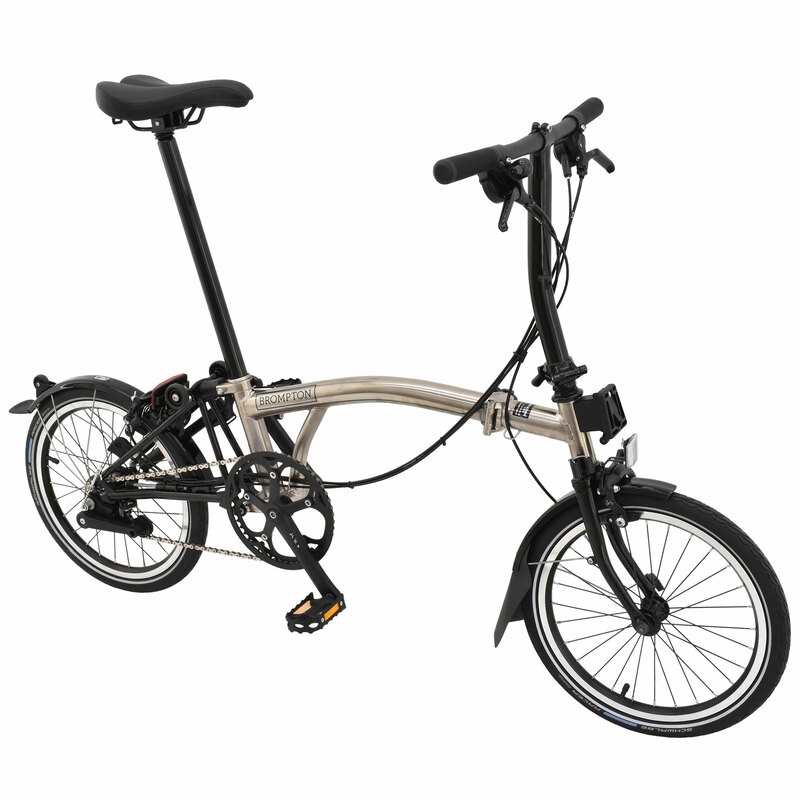 I am planning to buy 2 units brompton M6L Nickel edition. My question is. Where is the nearest store to pick up from sheppard bush area (west lindon). Can i get tax refund in airport? We currently only have one of these bikes in stock at the moment. If you want to buy this bike from us you would need to come and pick it up from us in person. If you are planning on getting two of these bikes please email Sales@sjscycles.com to check for availability.